With Colossus, an intriguing, well-crafted first book in an ongoing series, Jette Harris firmly establishes her voice within this well-worn genre. Furthermore, she establishes that voice as a strong, capable one. Colossus moves at a pace that celebrates the small details that are crucial to the success of a book that relies so keenly on suspense. At the same time, it doesn’t linger. Nor does Colossus shy away from unpleasant material. In relating the story of two young women and two young men, spending a month trapped within the structure and whims of a scarcely-fathomable psychopath, Harris takes us on an ugly, unapologetically bleak ride. Those who like to be made aware of the more heavyweight trigger warnings will definitely want to take note of Colossus’ brutal subject matter. 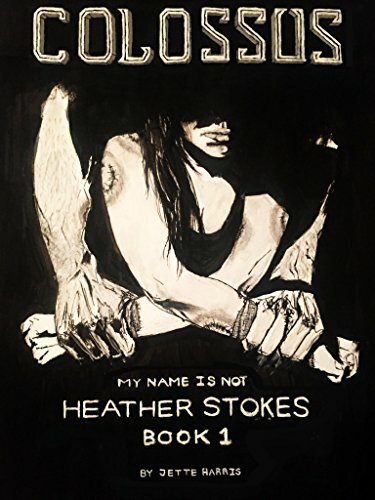 As we descend further and further into the desperate measures taken by Heather Stokes to protect her fellow classmates, Colossus touches upon such subjects as sexual violence, suicide, and frank, vicious depictions of torture. In fact, “touches upon” may not be the right word. Colossus goes for the throat, and it makes you understand implicitly that it wants to grip you so tightly, its fingertips will meet somewhere along the back of your neck. It’s also important to keep in mind that Colossus isn’t interested in meager, trivial shock value. It tells a great horror story, one which reaches even greater heights at times. Harris’ focus is clearly on telling that story. The only close second is her dedication to creating strong, multifaceted characters. Books that wrap you up in troubling images and ideas must have such characters in place. Otherwise, things stand to get very boring very quickly. You’re not going to be bored with Colossus. Harris is not merely lining up tin can robots from the idiot factory. She establishes and builds on a variety of distinctive, believable characters. She plunges them into hell, and she’s not shy about that, but her priorities remain clearly fixed on character and story. Plot is another of her chief concerns. Everything else develops at a natural pace and rate, ensuring you will be eager to read the book as quickly as possible. The page-turner element is pretty essential to all of literature, but it is particularly important within the mystery/suspense genre. If you know this, then you’ll know why you’re captivated by Colossus from the very beginning. It is a damn good debut from a new voice. It is a great, rich foundation for her work that is yet to come.